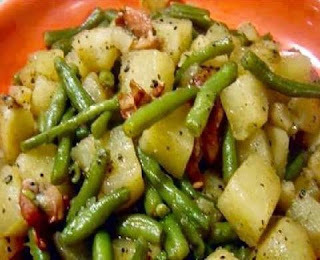 Dice the ham, green beans, onion if you are using it, and potatoes. Plunk it all into your crockpot, add 3 cups of water and season with salt & pepper ( according to taste) I like to use Steak Spice in mine. Cook for 6 hrs on Low.